MagicBrush Brush Set True Love is a set of three brushes, with which you can easily remove loose hair and dirt from the coat of your horse. You can easily clean these brushes by washing them in the washing machine. 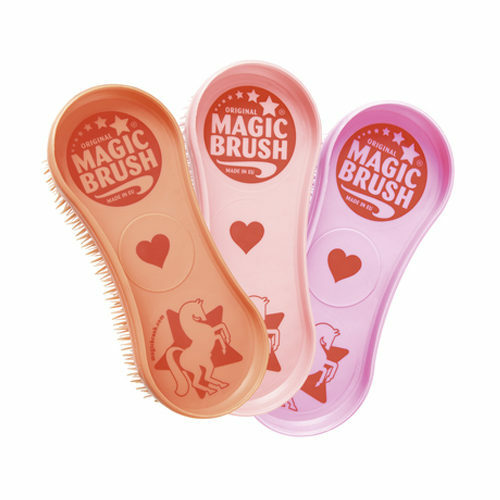 The MagicBrush Brush Set True Love is a brush set with 3 delicate brushes for the coat care of your horse. With this brush you can easily remove all loose hair and dirt from the coat of your horse. This way the coat of your horse will shine again! Are these brushes dirty? Then simply clean them in the washing machine. Have you used MagicBrush Brush Set True Love before? Let us know what you think about this product.